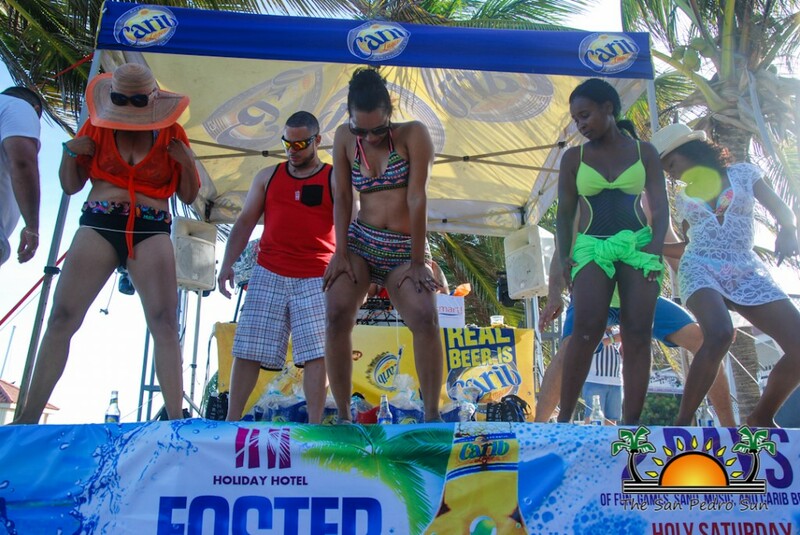 Home » Entertainment » Easter Weekend 2016 was quite the ‘eggstravaganza’! Newer: » 2016 Lobster Fest is set! It was a picture perfect weekend for Easter festivities on the beautiful island of Ambergris Caye. Countless Easter-themed events drew hundreds of tourists and locals to celebrate a fun-filled occasion. 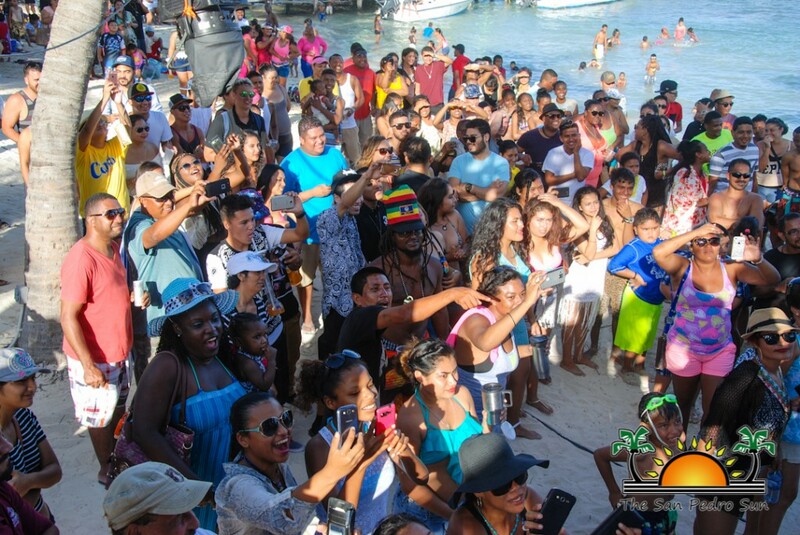 During the weekend, people occupied the beaches while enjoying the serene waters, fresh breeze, and hot sun on La Isla Bonita. Many residents celebrated with their families and planned picnics, barbeques, and beach outings. 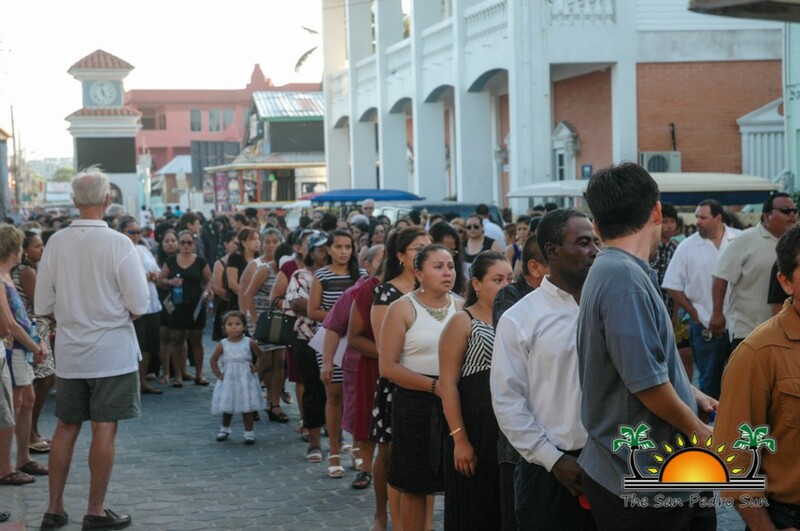 San Pedro, being a town that never fully sleeps, also provided visitors with an array of events catering to children, teenagers, adults, and religious groups. Starting Friday night, after 24 hours of “Dry Friday”, Jaguar Temple Nightclub and Rehab Lounge held their Easter Glow Madness Part 2, featuring DJ Smallz and Evolution Sounds. Guests danced the night away with great music and cold drinks, bringing in day one of the Easter weekend. 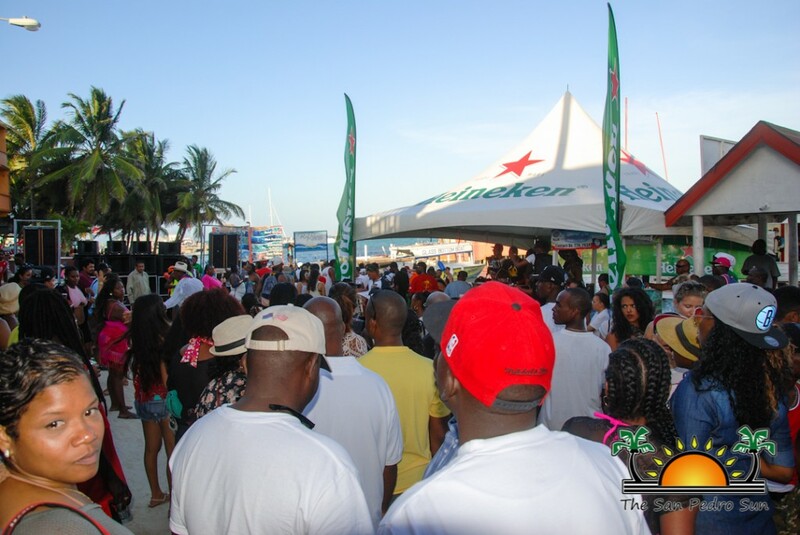 On Saturday, 26th and Sunday, 27th, many beachfront venues hosted their all-day bashes. Loca Fest at Luna Loca had a huge crowd enjoying the sun, music, and drinks, sponsored by Traveller’s Liquor and Belikin Beer. There was music by DJ Karizma, DJ Smallz, DJ Tracks, DJ Gracierock and Invasion DJ’s: Fyah Statah Sounds, DJ Jago, DJ Odyssey, Evolution Sounds, and Versatile Premier Sounds dominating San Pedro’s party reveler’s eardrums. Different competitions took place throughout the day, making great opportunities for people to win cool giveaways. 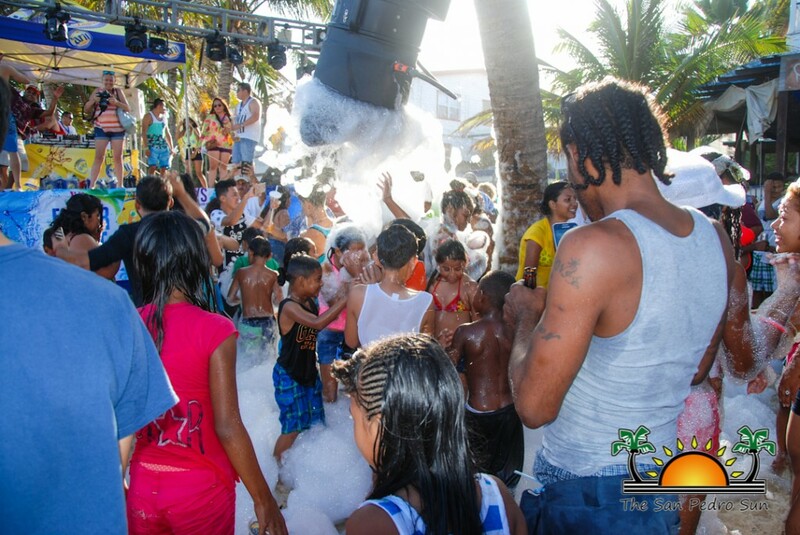 Later on Saturday night, Fido's Courtyard & Pier, hosted their grand, Island Invasion Easter Madness Vol. 6, alongside King of the Island Promotions. 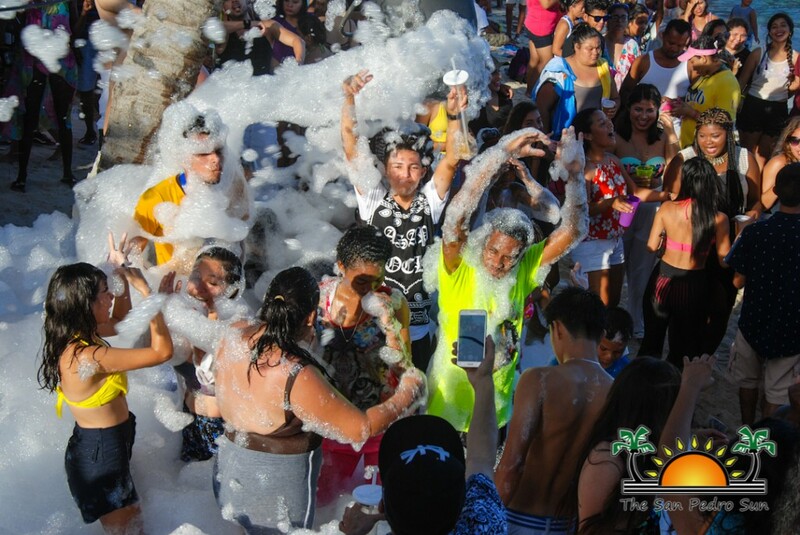 The Holiday Hotel hosted their two-day Easter Fest of fun, games, sand, music, and Carib beer, featuring international Deejay Capone and DJ Karlo. 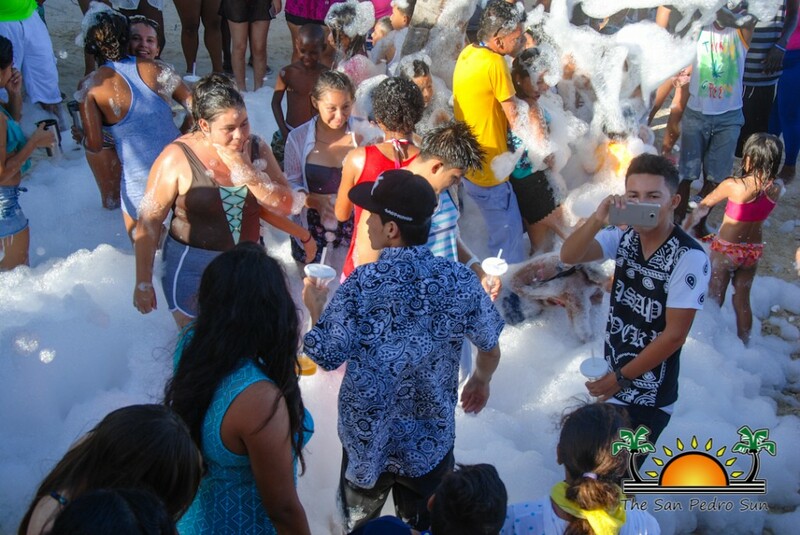 Part two of the event kicked off with Caprice’s Bar & Grill Foam Party. 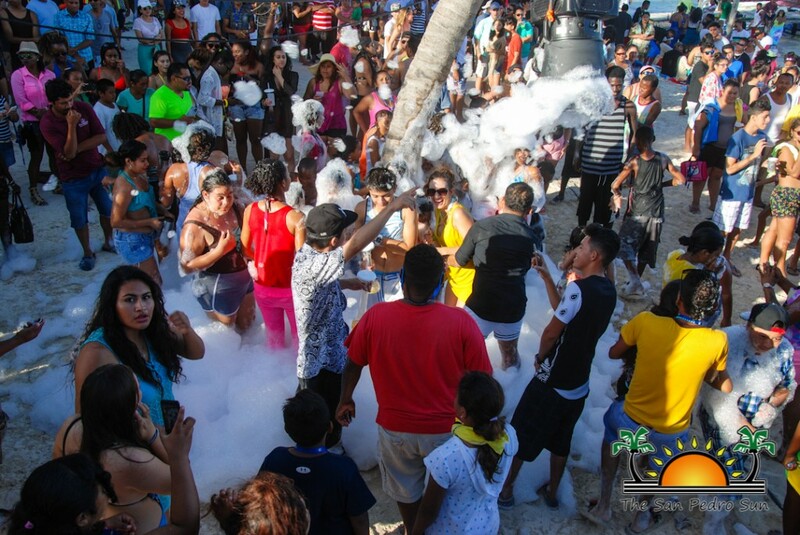 It was an impressive beach affair, where people danced and played with foam. And what is Easter without the chance to win awesome prizes? Holiday Hotel had several games, from traditional dance contests, limbo to a beer drinking contest. 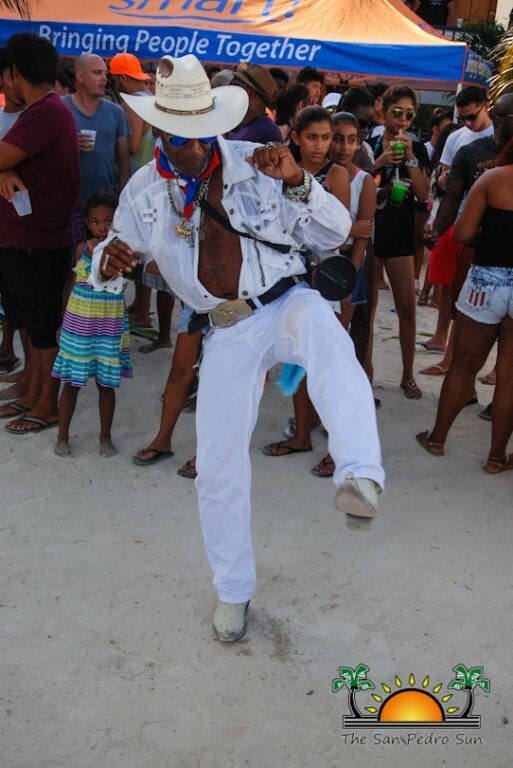 Prizes included gift bags from Traveller Liquors Limited, gift certificates to parasail, gift baskets of Carib beer, bar and food tabs, courtesy of Caprice Bar & Grill. Other fun spots during the Easter weekend included: Pedro’s Inn, the Truck Stop, Merry Yatch, and Juvinie's Cevicheria. Easter is considered a sacred time for Catholics and devout Christians. Every year, Catholics partake in the 40-day Lenten season, which this year, commenced on Ash Wednesday, February 10th. The San Pedro Roman Catholic Church leaders organized a series of events to commemorate Christ’s crucifixion and resurrection. The traditional communion and feet washing, commemorating The Last Supper, took place on Holy Thursday, March 24th. The Adoration Vigil was then held at the Parish Hall until midnight, replicating the scenario of Judas betraying Jesus at the Garden of Gethsemane. Roman Catholics observed Good Friday, March 25th, as the holiest day of the Easter season. Catholics reflect the day where Jesus Christ underwent suffering and died to cleanse the world of sin. Many Catholics baked hot cross buns and eliminated meat from their meals. 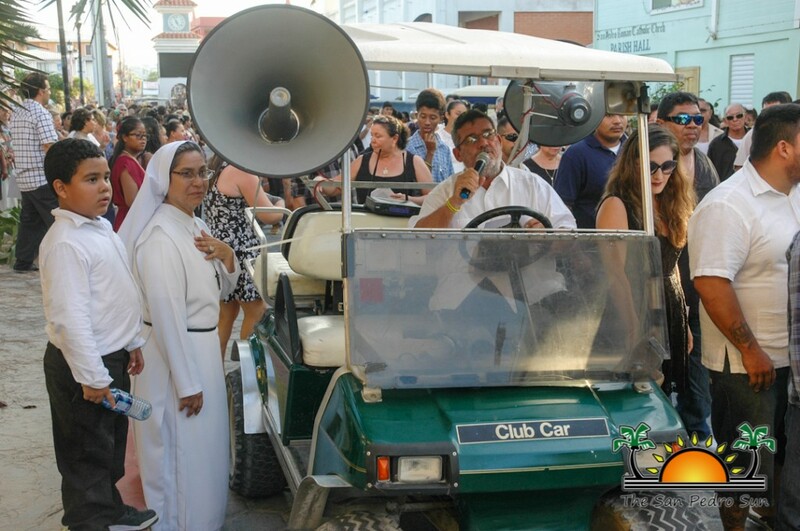 In honor of this day, the San Pedro Roman Catholic Church also held the 14 Stations of the Cross procession, beginning from the Catholic Church on Barrier Reef Drive. This was followed by “The Seven Last Words Ceremony”, and the Celebration of the Passion of the Lord mass. 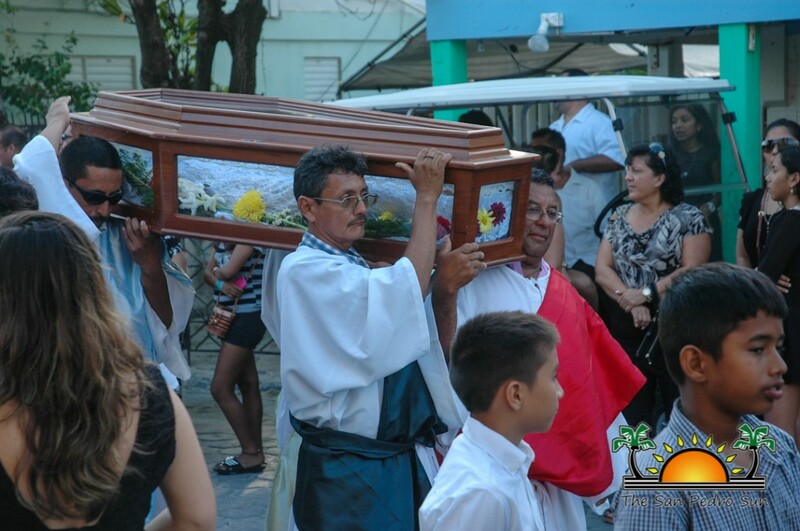 Lastly, the congregation gathered in front of the Church building for the Holy Procession (El Santo Entiero), where men carried a casket symbolizing the body of Jesus Christ, and women carried a statue of The Virgin Mary. 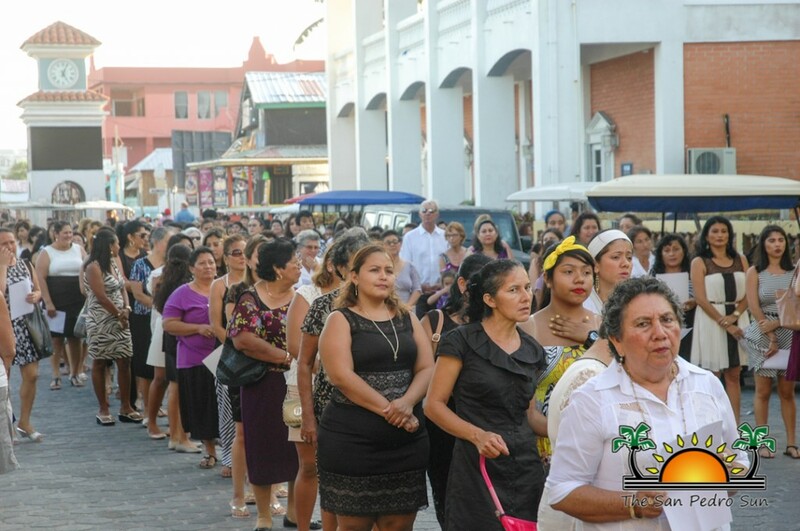 The procession reverently walked through main streets of San Pedro. 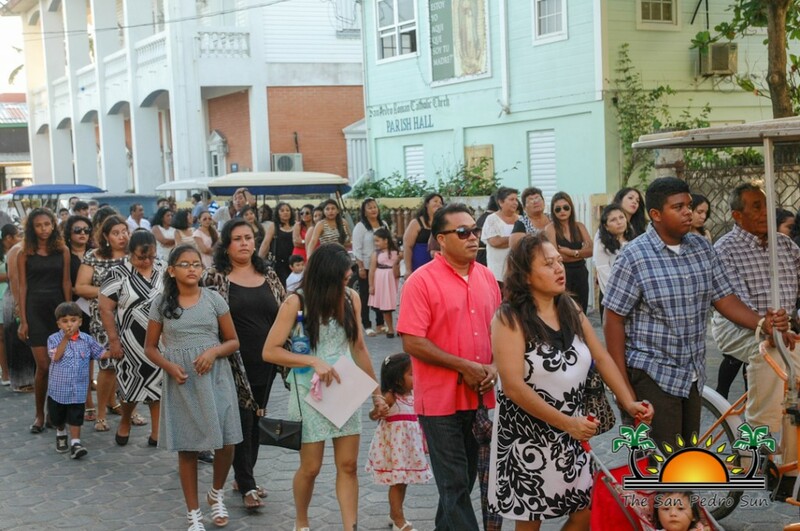 On Holy Saturday, March 26th, an Easter Vigil Mass was held at the Roman Catholic Church. Celebrations continued on Easter Sunday, March 27th with ‘El Encuentno’--where Catholics joyfully celebrate the resurrection of Jesus Christ. The religious Easter celebrations ended on Monday with a mass. 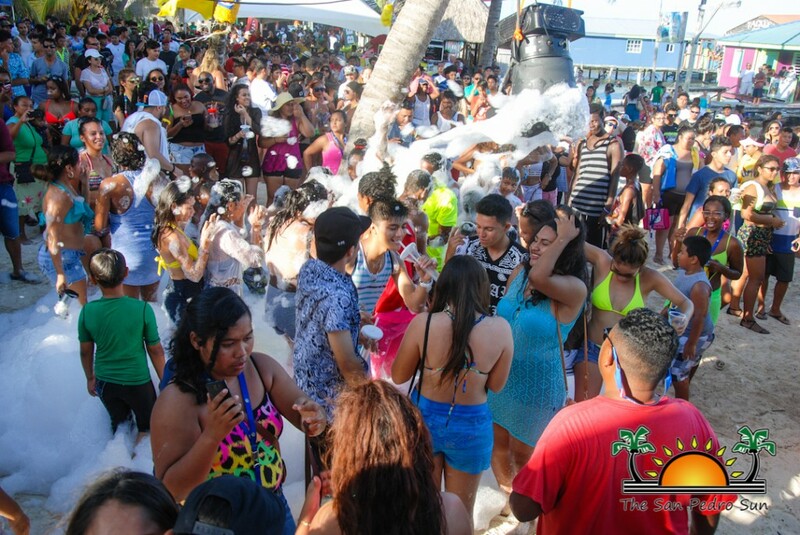 The San Pedro Police Department is pleased with how the Easter celebrations went over the weekend, as they had several plans in place to handle the influx of visitors to the island. Thanks to community cooperation, only a couple minor altercations were reported, with one minor shooting incident in San Pedrito. Overall, the San Pedro Police Department considered this Easter season to be smooth and look forward to next year’s festivities. 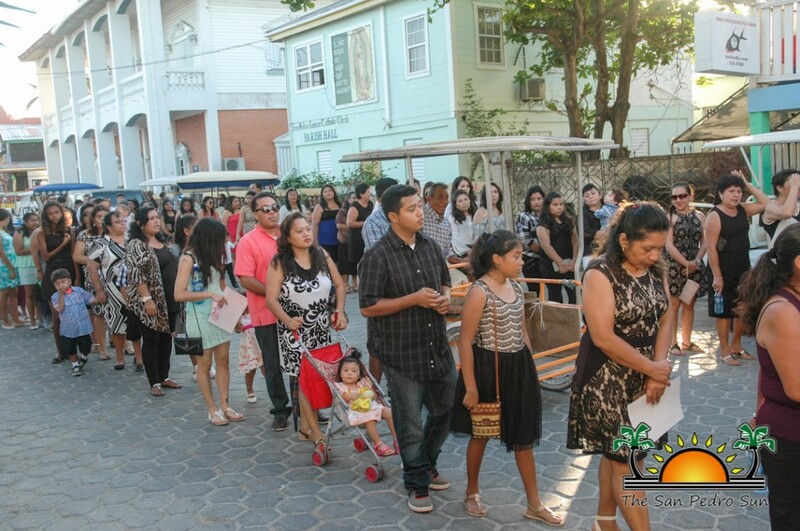 Photos:San Pedro mothers celebrated with fabulous extravaganza!